The aesthetic value is the most important asset in human civilization. People like to do business with people with merit and good culture background. On the other hand, those who withhold better education, formal or informal, tend to show their appreciation to the culture diversity. Economy system comes from exchanging value. The value is based on culture system. The art is the evidence of culture heritage and convention. 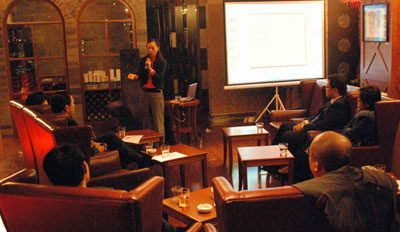 Therefore we prefer to work with people from business society who have better culture understanding and art appreciation. We are an independent research and education institute focusing on culture, media and creative arts. We dedicate ourself to promote the merits of arts and culture, designing curriculum for art education, organizing culture events for public, projecting contents for TV or movie. We also work with associations to help original artists to meet their potential collectors. We believe art is a way to materialize information from higher spiritual world. metaphysics and nature inspiration. The world would be better if everyone could appreciate more on good artworks. Simplicity of life and sustainable developing become more and more important issues after the over-industrialized biosphere. The problems of materialism and consumerism make humanity losing intrinsic value. Thanks to the digital revolution which made everything easier, humankind could have more time to rethink the significance from ancient philosophy such as Daoism(Taoism). It is also important to fuse culture difference and renew it to meet contemporary need. We are walking on this path. INGO Group locates at north side of Beijing, we work with local government and conventional educational system toward a goal that help general public to get opportunity to advance their culture development. On the trend of globalization, we also manage to conduct several projects, with other business groups, focusing on communication arts and culture exchanging. The is a residential project opened for all creative personnel who would like to experience life in a rural side of Beijing. 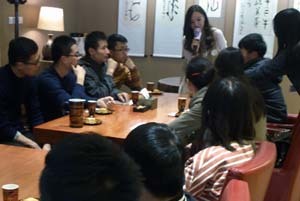 Qualified artist or culture worker also would be invited to be the instructor of our students. The is a series educational courses opened for people who are looking for international training on art and culture in a natural and original environment. This is the systemic hands-on and on-location art workshop for people who want to earn their credits of creative mind. This is the exhibition taking place inside downtown areas to showcase media artworks and accomplishment of activities. INGO Academy + Media is also a place for open minded business person to find their creative inside. We welcome all who would like to lunch any business with us. Here are the outlines that may interest both parties. We believe the future is open for people who have better knowledge on art and culture. People run business with courtesy and politeness.